What does your kitchen look like? Is it packed full with boxes stuffed with processed cereals, canned goods, and refined sugars? Perhaps your refrigerator and freezer consist of expired goods and large quantities of frozen meals you purchased long ago. Do you find yourself throwing away mushy produce and wasted meal ideas? How can this be the reality a lot of us face when as a country, we love food so much? The truth is we savor the moments gathered around a table with our favorite dishes and the people we love. As we get excited about such moments, we rush to the grocery store, purchase everything we know our families love, and then throw it all away by the end of the week most often due to the lack of time or the lack of energy for creating our meal plan and the task of grocery shopping. Our intentions are good, but our skillset not-so-much. When you learn to grocery shop as a minimalist, you will begin to discover how enjoyable the entire process can be. You begin to discover food waste is no longer an issue and your meal prep is minimal. You may even find yourself experiencing new food groups and new flavors across your palate. When you hand select your ingredients for only the upcoming week, your grocery shopping experience becomes more of an adventure filled with fresh produce, variety, and a plan for the week ahead! First thing is first- you need a fresh start. If you have been in the “grocery shopping once a month” habit, it is time to remove the cobwebs and the food. Get rid of anything that is overly processed, provides no nutritional value, or has been in your freezer so long it currently has a nice layer of freezer burn all over it. 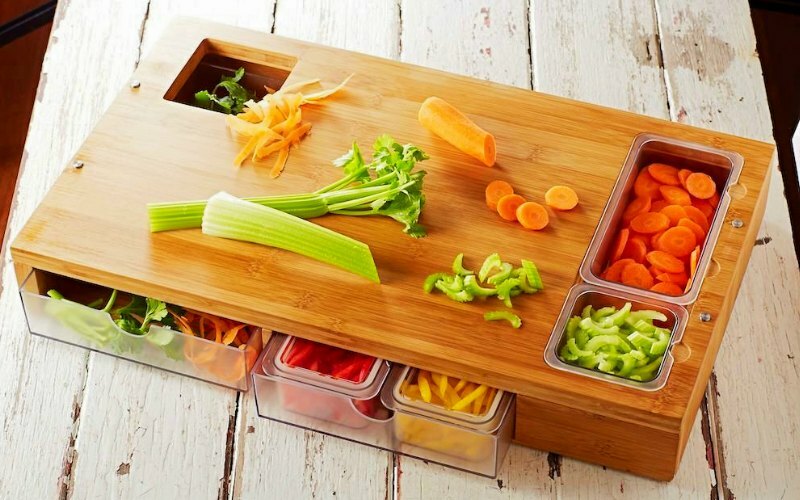 By eliminating the boxed and the frozen, you are creating space for fresher and more nutritious ingredients. As you transition from bulk buying to weekly trips to your local market, it is important for you to create a list of what you need for the month and for the week ahead. Your monthly list should include your staple items. These items include any dried ingredients and any ingredients used for baking. Remember to keep this list small and limited to a few items from each category. The other list you will need to create is the fresh produce you are going to use throughout the week in your recipes. Continue reading to learn which items should be on this list. Once you have your staple ingredients list, go to your local food co-op to find the new staples for your kitchen. These are the items that you will not shop weekly for, but typically on a monthly basis. Select dried legumes, grains, and flours you will incorporate often into various dishes you create. These are all great options because a little goes a long way and they are loaded with nutrients your body needs. You will also find many of the healthy recipes you choose can use one of these staples you have on hand rather than going to the store to buy more ingredients. When planning your meals for the week ahead, you should consider selecting a cultural theme for your dishes. By doing this, it allows you to purchase a handful of ingredients that can be used for multiple meals. For example, if you select a Mediterranean theme, you may purchase sundried tomatoes, feta, olives, artichokes etc., and use these same ingredients in various dishes throughout the week. If you do not select a theme for your week’s worth of meals, you may find yourself purchasing items that do not go together and buying much more than you need. After you select the cultural theme for your meals, the next step is to discover what produce is in season and determine how you can use those items in your meals throughout the day. If you are experiencing the autumn season, pears may lend themselves perfectly to oatmeal for breakfast, a pear and fig salad for lunch or dinner, and a pear crumble for dessert. You can use a single seasonal item throughout the day while still providing variety in your dishes. When you set up your grocery shopping in this way, you limit the amount of produce you need to buy, your produce stays fresher longer because it is in season, and you use up your key ingredients by the end of the week. Once your list of weekly ingredients is complete, you are ready to go shopping! As you peruse the aisles, it is important that you stick to your list. Do not fall prey to the endless bargains that catch your eye, the cravings you muster up, or the bulk packaging options. Instead, it is important to remember less is more. Find the most colorful produce you can find, select enough for the week ahead, and remind yourself you get to experience another set of recipes the following week. When you use the minimalist’s guide to grocery shopping, you are able to select the most nutritious ingredients for your body. 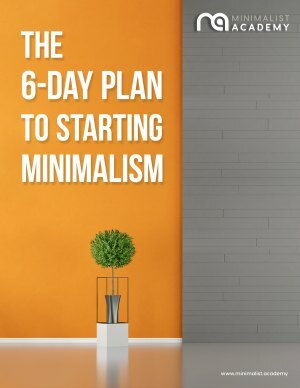 You are also able to eliminate food waste, create a simple meal plan for the entire week, and less time will be spent on scanning the kitchen for what to cook for dinner after a long day’s work. Remember to keep your ingredients seasonal, hand-selected, and simple. Your family and your pocketbook will thank you!